Long time no hear, you might say, and indeed it’s been nearly 3 months since we last gave an update on Chaloklum Diving goings on. Our excuse is that (sadly) there wasn’t anything special about January from the diving and snorkelling point of view, and then February (happily) was surprisingly busy – to the extent that we didn’t have time to do more than run an efficient diving school for a fair length of time – which is what we enjoy best, of course! 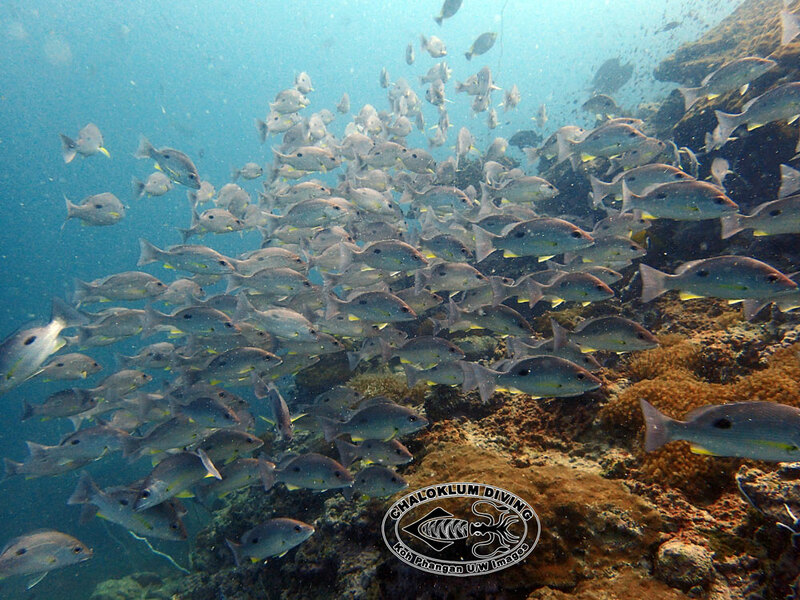 February has featured great visibility at most of the dive sites we visit, allowing us to make a number of trips to Anthong Marine Park as well as to some of our favourite Koh Phangan destinations. Sail Rock has been exceptional – clear blue water with loads of schooling fish, and the whale sharks have been around – much to the delight of our SCUBA divers and PADI professionals alike. Back in the dive centre we are just coming to terms with our favourite noodle soup shop being under new ownership – Mr Chai we do miss you! Otherwise everyone has been happy to get to work diving again, with a lot of Open Water Diver courses and some busy boat days for our instructors and divemasters. Michael’s back to running the 2 compressors on an afternoon; he might complain but we know he loves it! And Nick finally got to escape from the office for some protracted underwater photography sessions in Chaloklum Bay and other dive sites around Koh Phangan – definitely feeling better for it.